It’s that time of year again! Fall is here which means the air is crisp and the pumpkins are fresh off the vine. 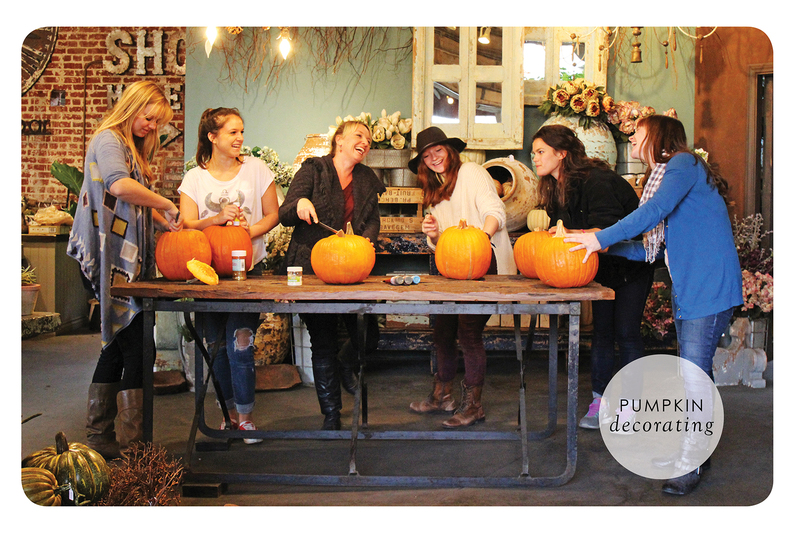 The perfect time to gather for a pumpkin carving party!! 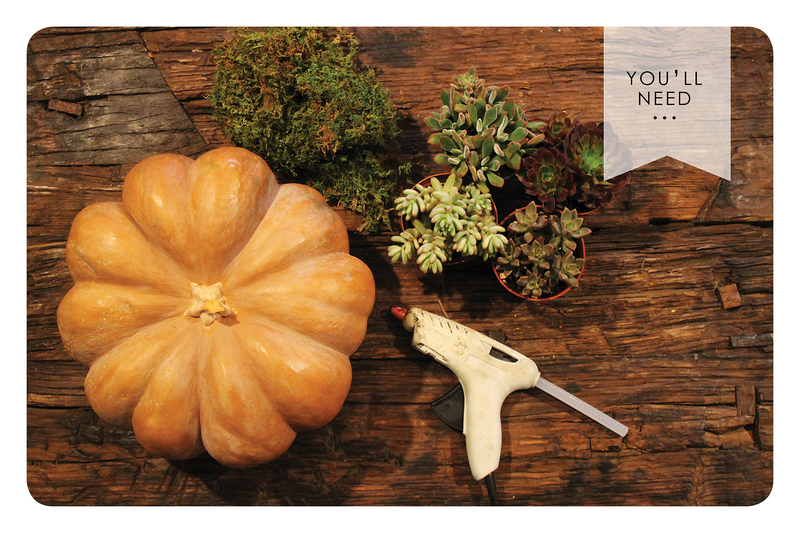 But first…check out our amazing DIY pumpkin succulent arrangement! This fabulous twist on the traditional pumpkin is the perfect addition to your fall décor. 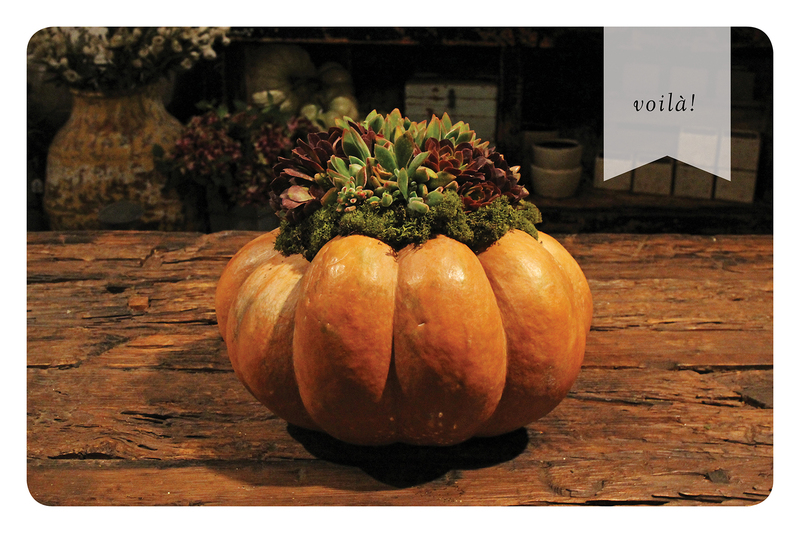 Use as a centerpiece for your table or combine with various sized pumpkins for a stunning front entryway. 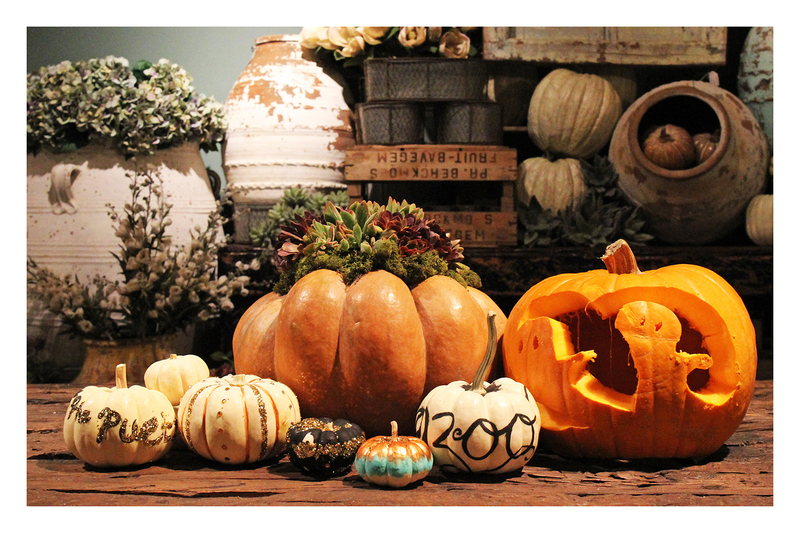 To start off you will need a pumpkin, any kind will work, but the fairytale pumpkins have always been our favorite. Pumpkins with a flat top work best. Other materials include small 2″ succulents, moss, hot glue or spray crafting glue will work too and floral wire. 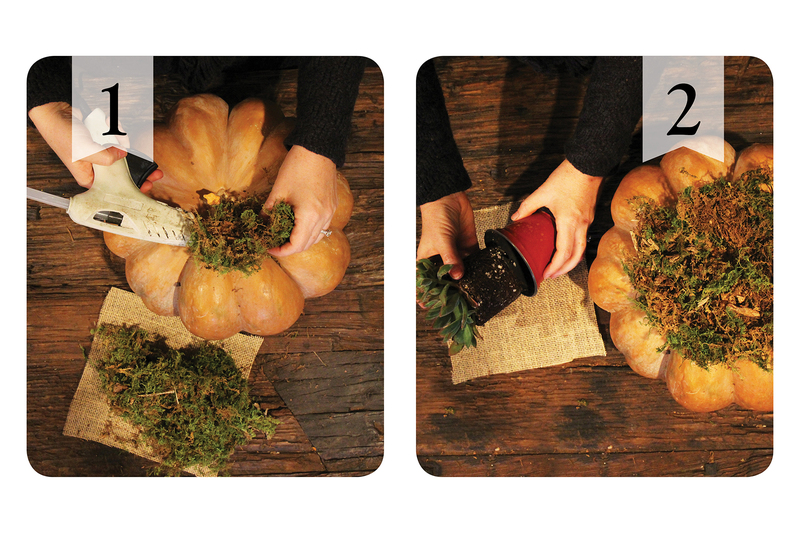 Step 1: Use a hot glue gun (or crafting glue) to adhere the moss onto the top of the pumpkin. You want the moss to be about 1″ deep. Trim the edges when you’re done. 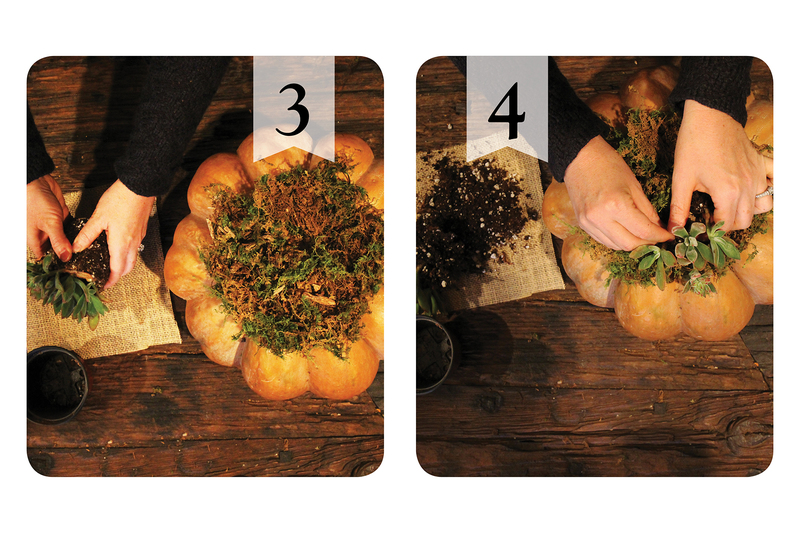 Step 2 & 3: Remove your succulents and break them apart. When picking your succulents it is best to have a range of sizes, color and textures. Step 4: Begin to arrange the succulents. Start with the large cuttings first and fill in with the smaller ones. Make sure you pack them in tightly. Step 5 & 6: You can use floral wire to keep your succulents in place. 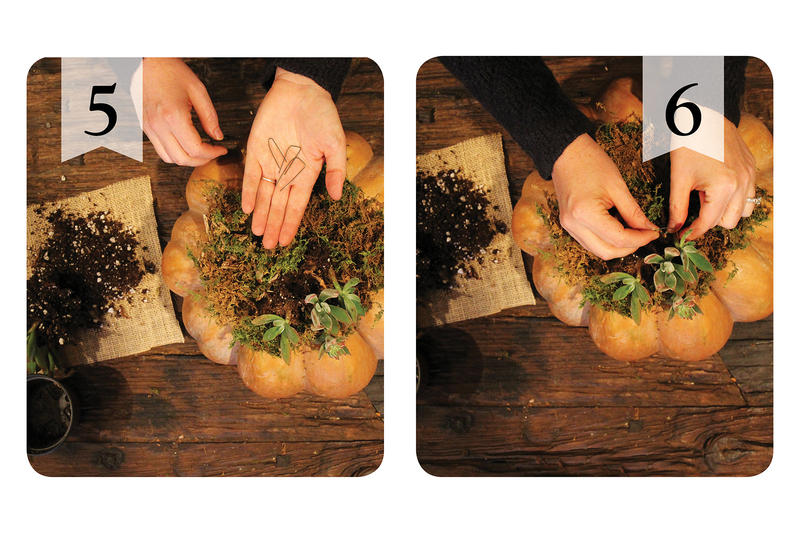 Want to create your very own pumpkin succulent arrangement? Join us Saturday October 19th at the Costa Mesa store for a hands on demonstration as part of our monthly Learn + Grow workshops. RSVP to events@rg-ca.com. This year we are so excited to share with all of you the pumpkin carving, decorating, planting… (whatever floats your boat) party with our extended Rolling Greens family. 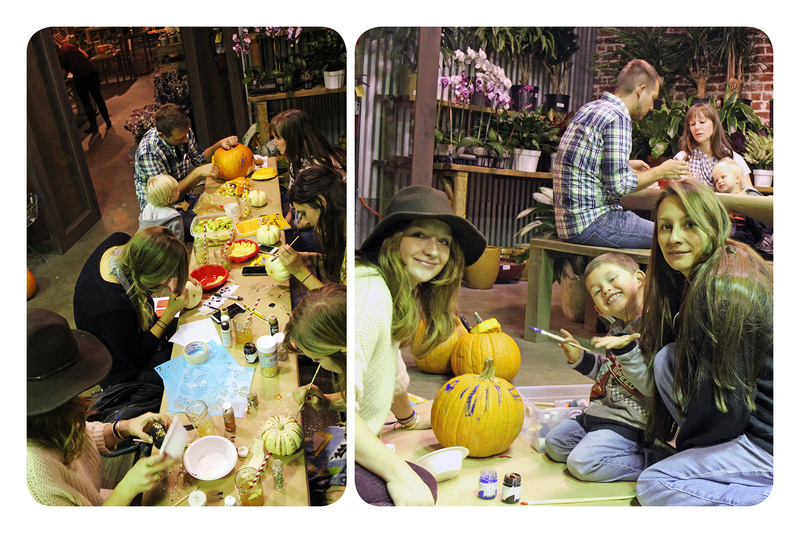 Our marketing & visual team, interns, associates and their children gathered at the Beverly store after closing for food, fun, and of course…pumpkin carving and decorating! Here the girls are ready to dig in and get their hands dirty hollowing out their pumpkins and removing the seeds. We love all the smiles and family fun this event creates. Some fabulous looking pumpkins as well! 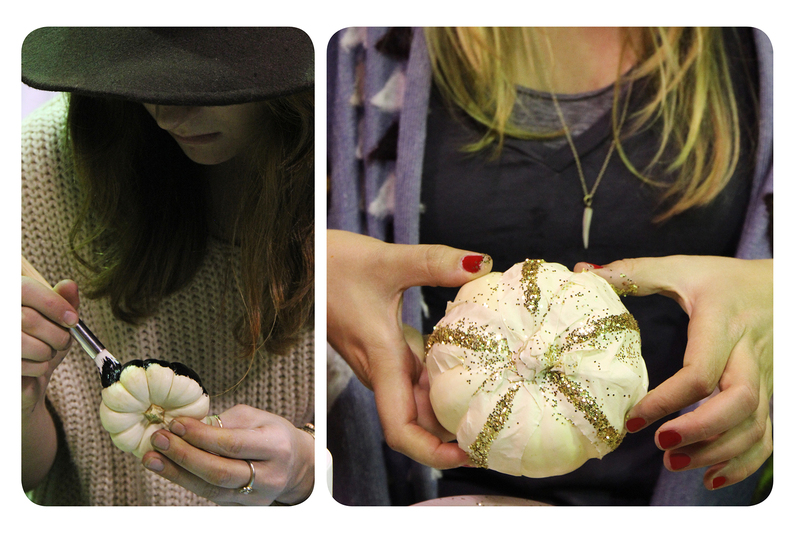 For some of the smaller white pumpkins our visual team used paint and glitter to dress up their pumpkins. This being a highly creative group, some of the pumpkin carving is more art than actual carving. Stay tuned for Friday’s blog post, Pumpkin Party Eats!! 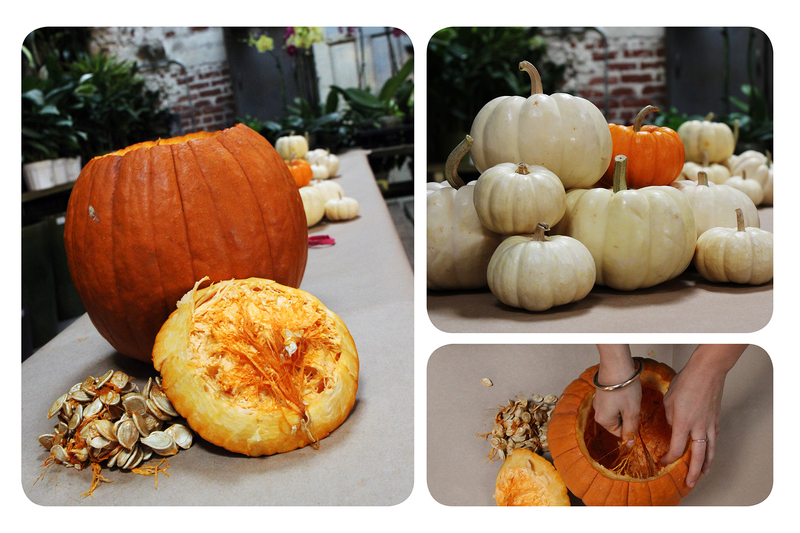 We will share all the delicious Fall recipes from our company pumpkin party! enter your email address to follow Our Aesthetic and receive notifications of new posts by email.